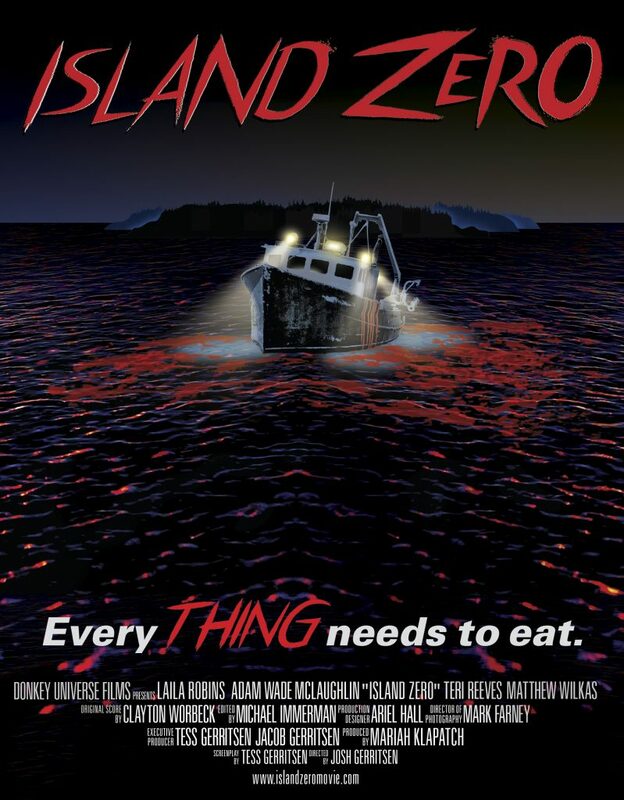 ISLAND ZERO, arriving on VOD next Tuesday, May 15 from Freestyle Digital Releasing, tells the story of an island off the coast of Maine whose residents fall prey to mysterious but hungry predators (see the trailer at the bottom of this page). We’ve got three posters to pass on to the winners of this giveaway, autographed by director Josh Gerritsen and screenwriter Tess Gerritsen; the latter is the best-selling author of numerous mystery and thriller novels, including the series that inspired the popular TV show RIZZOLI & ISLES. To enter, just send an e-mail with your name and full address to contests@rue-morgue.com by Tuesday the 15th; winners will be selected at random that day. This contest is open to United States residents only. Good luck!